Katharine and David cross the Andes, the colossal backbone of South America, from Chile into Bariloche, Argentina. There in the rain shadow of some of the highest mountains on earth, they will begin battling against the infamous gail-force winds of Argentina as they run north. In the North West of Argentina lies Cerro Aconcagua, at 6,962 m, it’s the highest mountain in South America. While Laguna del Carbón, at -105 m, is the lowest point in South America. Famous for its Pampas, Argentina’s vast, flat plains are as large as the UK & are home to Pampa fox, guanaco & maned wolf. Argentina’s endemic animal species include: pink fairy armadillo, white-headed steamer duck & mousehole snake. The current population is 40,117,096, with 0.9% annual growth rate. 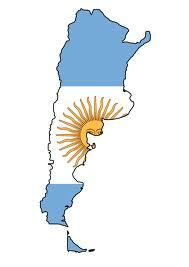 Agriculture at 54% (soyabeans, cereal, beef… ) is Argentina’s most important export.